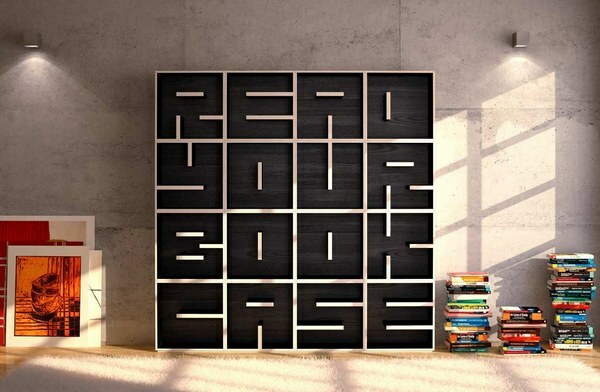 Read your entire bookcase – in three seconds. The Libreria ABC by Italian designers Eva Alessandrini and Roberto Saporiti is a series of modular storage cubes, each representing different letters and numbers. 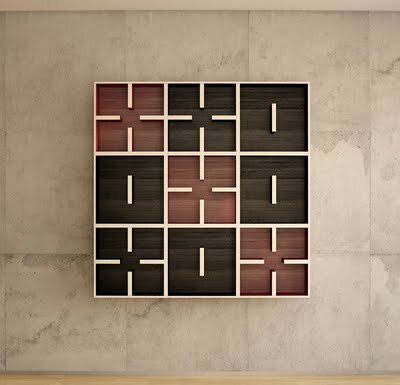 Spell out whatever you wish – I love the designers’ choice of a game of noughts and crosses but obviously the possibilities are endless – children’s names for the kids books or perhaps the entire alphabet if they have a large library. The cubes are available in different sizes and a number of wood stains and colours. Contact Saporiti directly for more information and prices. Also see our previous post on amazing alphabet bookshelves.